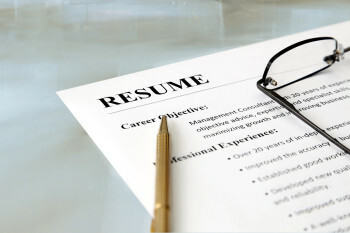 To land a job or get hired, one should prepare a resume. The resume is often considered the first and the final chance for a job seeker to get hired. The resume should be the tool to create an impression on the employer but sad to say, there are a lot of resumes that are ignored and left in the trash bins for good. It is because most of the resumes that an average job seeker creates are boring, designed the same and just a bunch of lists of educational background and other stuff that doesn’t make a person unique and stand from everybody else that’s why most of these resumes are rejected even though there are a lot of those resumes are made by people who are very qualified for the job. To simply understand, the resume is some sort of a marketing tool to promote yourself to the employer who is looking for a new employee. A lot of people have what it takes for that job, but they are not making their resumes adequately that it results to poorly showcasing their skills and experiences making them qualified for that job that’s why there are professional resume writers. Just an overview about resume writing, these are the type of writers who use the information provided by their client which is a job seeker and turns it into a document that has all the necessary information and details of their client to help them stand out among the potential employers. Resume writers usually work at the very comfort of their own homes and they are quietly abundant when it comes to their incomes. They usually earn $400 to $1,000 dollars a month depending on the resume that they are working in. Their rates also depend on their client’s request and project especially if their client requests for an executive resume or something that is in a specific field of industry such as technology which has an added cost to their service. They also offer packages for the services they offer like including a cover letter aside from the resume and follow-up letters to the potential employers of their clients. If you’re a good writer who has that set of skills that makes you more than qualified to start a resume writing service, then it would be great to start it up. Resume writers don’t require to have a physical office to accept works from their clients, all they need is their skills in writing resumes, and cover letters, contact information and a portfolio about their job and services. One can work as a resume writer full time or part-time. Being a degree holder in a specific course like journalism, literature and other communications related courses is an added edge if you’re planning to become a resume writer. Starting a resume writing service is proven to be low cost and it is also an economy-proof which means you don’t need to have a huge capital to start your business. You also don’t need formal training to become one, all you need is just a little knowledge about human resources and recruiting trends. You can start accepting clients by providing the clients email addresses, VoIP or video call contact information as well as social media accounts but it’s very advisable to meet your potential clients personally so that you’ll be able to discuss the matter seriously and agree on things right away.